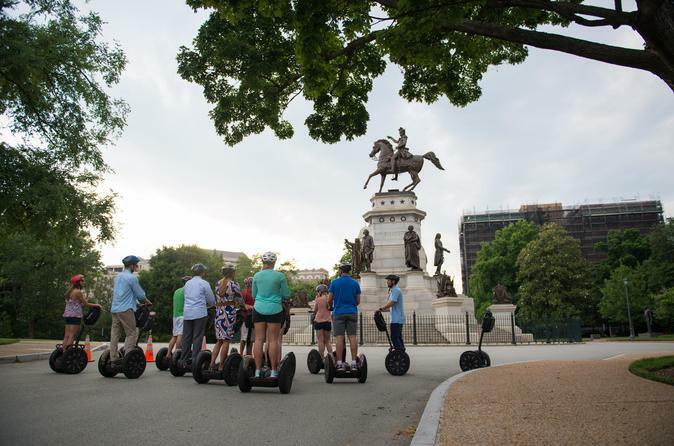 Select between our 1 or 2-Hour Richmond Landmark Segway tour and we will explore interesting and notable sites in and around the great city of Richmond, which is the capital of Virginia, is among America’s oldest major cities. There is plenty to see and experience on this tour and you will leave with a wealth of knowledge. Select between our 1 or 2 hour tour and explore some of Richmond Virginia's most historic landmarks. Departing from 1301 East Cary St, we will set off on an adventure that will include sites such as the Canal Walk originally begun and envisioned by George Washington, Brown’s Island 1865 Bridge that was the main evacuation out of the city as it burned in 1865. Tredegar American Civil War Center that is the main foundry for the south during the Civil War and St Paul’s Church where Robert E Lee and Jefferson Davis both worshiped. Your guide will also take you to the Old City Hall, one of the best examples of Gothic architecture in the country, Egyptian Building, Monumental Church where Edgar Allen Poe’s mother performed as an actress and which met with great tragedy. Then there is the State Capitol grounds designed by Thomas Jefferson and the oldest capitol in the country. We will also provide great photo ops in areas that only Segway's are allowed to get up close. You will also be lead to Court End, which is the wealthiest area of the city in the early 1900s and includes Supreme Court Justice John Marshall House-oldest brick home in the city. To round off this trip you will see Museum of the Confederacy, that was Jefferson Davis’s home during the Civil War. This tour has it all and you will see as much as we can show you in this amazing adventure.